Before a passenger makes the decision to voyage through consciousness to the spiritual realm, one must have a proper "set and setting". Set refers to one’s mental and physical health while setting pertains to a passengers location and environment. If you are taking your trip seriously, you start with preparing your trip a couple of days ahead. It’s best to eat light food like juice, vegetables and soup prior to the trip, then the truffles will be absorbed really well. Some people decide to eat nothing, but real fasting isn’t necessary by any means. In the morning of your trip-day, you can take breakfast and a light lunch. Make sure you do not eat any fungi-related foods or red meat. It’s also better to avoid alcohol and coffee. You can stimulate a pleasurable experience in the days before the trip to fill your mind with pleasant images and sounds. You do this by watching some movies, reading books or listening to music. This can make your trip even more fascinating. It is also wise to think about your intention for this trip. Don’t take psychedelic drugs when you are depressed, angry, sick or just want to forget about your worries. Psychedelics are mental magnifying glasses. People who are depressed or have psychological problems could use psychedelics under supervision of an experienced psychotherapist or shaman. Tripping on your own while suffering from psychological problems isn’t a good idea. 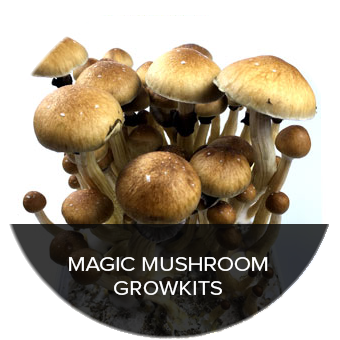 Make sure you are well rested before you start eating magic truffles or magic mushrooms. 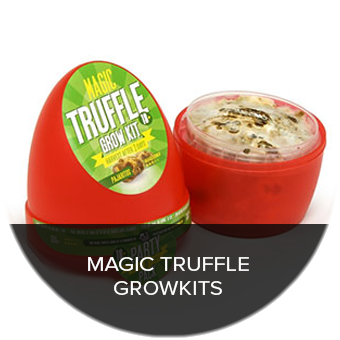 Make sure you are well rested before you start eating magic truffles. It’s also recommended to start using truffles as early as possible, if you want to start sleeping at a normal time. Suppose you want to sleep around midnight, then you may want to take truffles around 18:00. It’s also possible to take the truffles at the end of the evening, so you can trip the whole night. In some situations it’s nicer using truffles at night because it’s more quiet at night. Take a normal dose and choose a calm and relaxing environment. It’s not recommended to trip at a party if you’re using truffles for the first time. If you’re tripping within a group of people, it’s best when the group isn't too big. Two to four people is the most ideal. If it’s your first time, you shouldn't trip alone. Whether tripping alone later is a good idea, is personal. Some people feel less relaxed when alone, while others are more comfortable tripping by themselves. If you decide to trip with a group of friends, it isn't necessary that one of you stays sober for whole the time. Usually it’s better when everyone is traveling to another dimension. If you are inexperienced, we advise that one person in the group takes a smaller dose than the others. else isn’t comfortable with. It is wise to discuss these things before you eat magic truffles. If you want to experiment with higher doses of truffles, it’s best to trip in the presence of a trip-sitter. The reassuring presence of a sitter is another important factor during your journey. The sitter stays sober during your trip, so you can do what you want. When you’re thirsty, the sitter gets something to drink for you and when you feel cold, the sitter gives you a blanket. A sitter is someone who takes care of you during your journey. He or she is someone who can reassure and can explain why it is better to go with the flow and provide your "back on earth". When you’re confused the sitter helps you to stay calm and supports you to experience your trip to the fullest. Furthermore, the sitter remains silent. So ask a friend who does understand tripping, or an experienced psychonaut to sit by your journey. The sitter shouldn’t talk like a psychoanalyst while you’re tripping. The role of the sitter is merely the passive facilitation of your trip. What a sitter can do is reassure you with words or touch, or if it really goes wrong, bring you to an aid station. Consider ‘packing’ a few days before tripping. Fill your brain with interesting information about documentaries, films or books or write down your own intentions or questions. Try to relax and avoid stressful situations. Take more walks in the woods or learn to meditate. 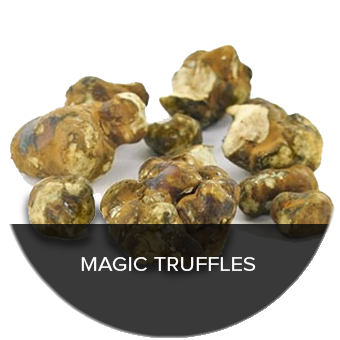 This all can have a positive influence on your magic truffle trip, so it’s even more fascinating. According to Terence McKenna, the best visual experiences are created in a dark room. This is particularly important when taking a higher dosage. by vivid images and overwhelming thoughts, don’t panic. For instance, don’t start staring at the clock desperately to see when you’ll be sober again. And leave the phone turned off. It often makes more sense to stick to your original plan. Sometimes a walk can help you, but that depends on the surroundings. Often external impressions are extra confusing and disturbing. To weaken the effects of your trip, you could also take Magic Stoppers (Valerian and Dextrose tablets). Take some vitamin C tablets or drink some orange juice. Do you still feel the need to call help, search help with someone who has experience with psychedelics. Don’t call direct family, since these people usually don’t know how to help and they could make the situation worse. Don’t use drugs when tripping on magic truffles. It is a magical experience on its own. There is only one exception worth mentioning, and that’s cannabis. Some people use cannabis before and during the trip, while others prefer to wait until the trip is over. So this is something you’ll have to decide for yourself. If you take it during the trip, it may prolong the peak and the trip itself. Most people experience their first trip as an unforgettable experience. The environment where you take the magic truffles has a major influence on your feeling during the trip. Always make your journey in a pleasant, familiar location. The environment should be safe and enjoyable for everyone. 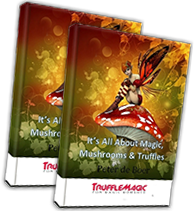 Your home is perfect when you use magic truffles or mushrooms for the first time. However, you can also go outside in the garden, a park or a field. That could really be fun. A noisy city is not a good place. The calmness and colorfulness of nature works much better. It isn’t advisable, especially for a first trip, to make contact with the ‘outside world’, as appearing in public, call friends or send emails. It’s the best to disable your phone and doorbell, and disconnect from the internet so one can be fully engulfed in, and focused on the journey without distractions. An example of a unfavorable set would be tripping after a traumatic event or a stressful day. The trip may concentrate on these events and make the journey arduous. An unfavorable example of setting would be a venue with a large group of people whom you are unfamiliar with. Except when it is led by an experienced Shaman in a well occupied setting. Examples of favorable settings are; A natural area that is alleviated of the hustle and bustle of civilization; A clean bedroom with dim lights and pleasant scenery, or another quiet place that you love where you won’t be bothered. Prepare yourself with a supporting playlist of about 6 hours to go into your journey, so you only have to skip a number if you please. Get some nice warm blankets ready. During the trip you could get cold. night. During the time when most people are sleeping, we have access to a different kind of energy. We can be a door to another dimension where we can get even better access to our altered state of mind. We have access to another world, a world that is clearer and more shadowy. Where the veils disappear and we know clearly what we are in the quiet of the night. However if you want to start sleeping at a normal day-time it’s recommended to start using truffles earlier on the day. Suppose you want to sleep around midnight, then you may want to take truffles around 5 or 6 P.M.